OK, so this is confusing. 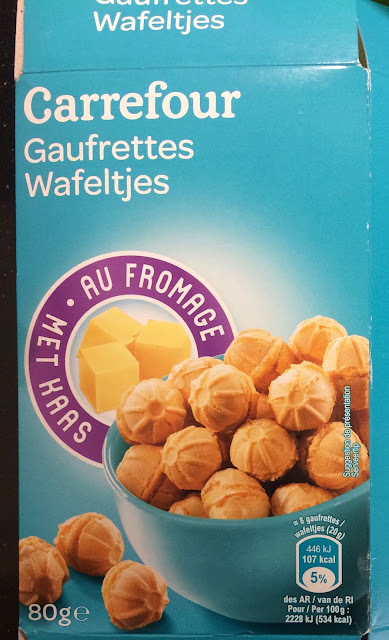 Carrefour, a great big French supermarket, has produced two different products called Gaufrettes au Fromage. I have taken the liberty of renaming one we have already tried "squares", and I will name this one footballs. Because one of them is square, and one of them is ball-shaped. I just love cheese footballs. I really do. They are one of my absolute favourites. And I was pleased to try this French version which I probably picked up at the big Carrefour outside Reims. And if you too like cheese footballs this cardboard box of snacks will please you. But.... here are two weird things. Cliffs of Moher taste tester won't try this crispy snack. She says they (they?) don't have them in Ireland and she's not going to start trying them now. Maybe, she temporised, Lidl or Aldi sell this style of snack, but nobody shops at Lidl or Aldi because the Irish don't trust them. OK then. And, then we have Architectural taste tester, who we have known for a while, but she doesn't comment much. 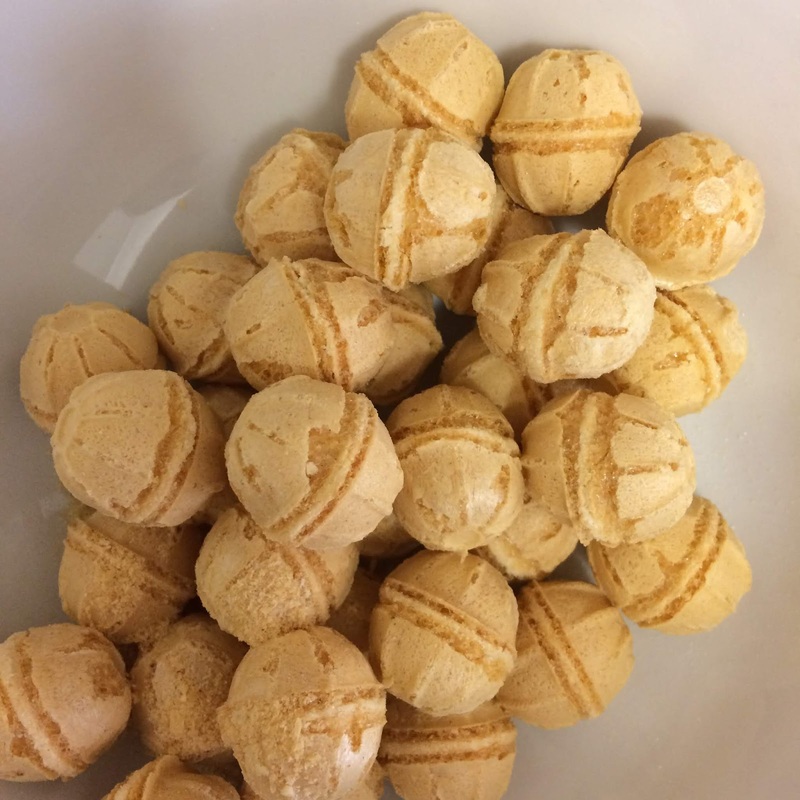 She tried this globe-shaped snack as though she had never seen it before. She savoured it in a suspicious "I don't know what to expect here" sort of a way. She tells me that she had expected it to be sweet and not cheesy. Weird! Has she never seen the fabulous British cheese footballs which I first wrote about in 2013? Apparently not. However, she really enjoyed this crispy snack, and ate quite a number of crispy little footballs. 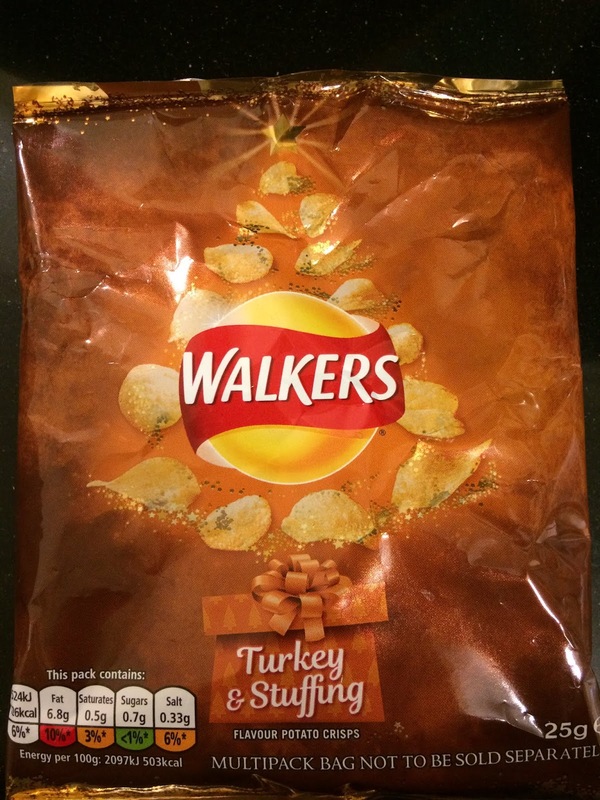 Here's another crisp from the Walkers 2018 Christmas multipack. I don't really understand why some flavours make a great crisp while others don't. But turkey always seems to work very well. Usually a limited edition crisp available at Christmastime (at least in the UK); I wonder if they have turkey crisps all year round in the United States? Of perhaps for thanksgiving? Or maybe not at all. I must interrogate my American friends. Anyhow, the reluctant taste testers were grateful to Slightly Red Haired Bristolian for purchasing the two Christmas multipacks, and therefore this packet of crisps. Because it's a rather good crisp. The stuffing part of the flavour works as well as the turkey. Not bad at all and snacked up speedily before lunch. 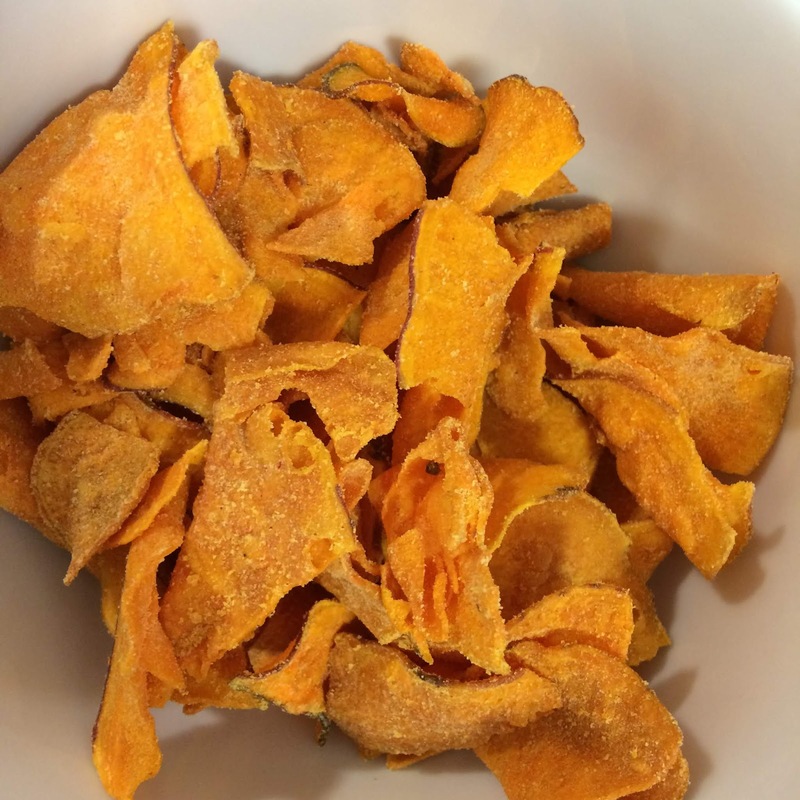 We did taste test this crisp in December. It just fell to the bottom of the list of crispy snacks I had to write up. I wasn't at work on my birthday; the Chef and I went out to lunch in the increasingly wonderful Kings Cross in North London. And while I was enjoying a birthday lunch, the reluctant taste testers purchased a delightful present for me. 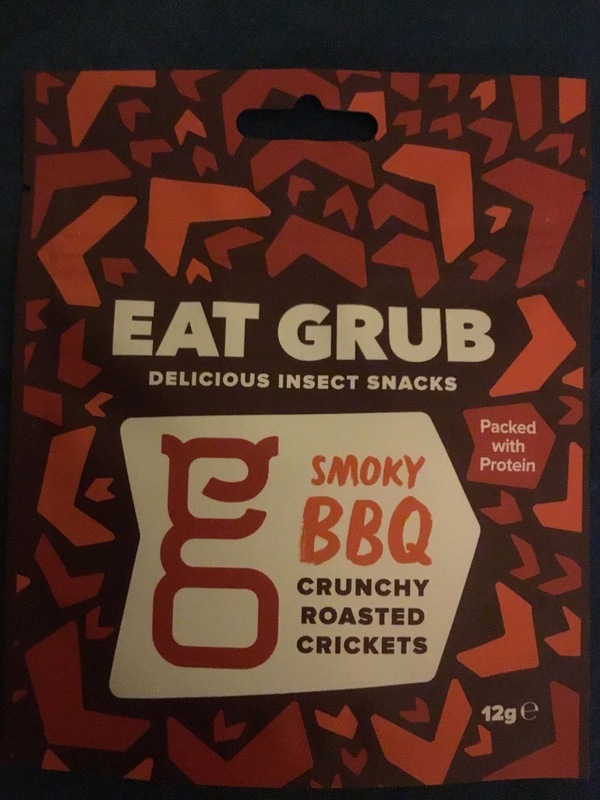 Yes, a BBQ flavour cricket snack. Hmmn.... I'm not certain that I am ready for insect snacks. 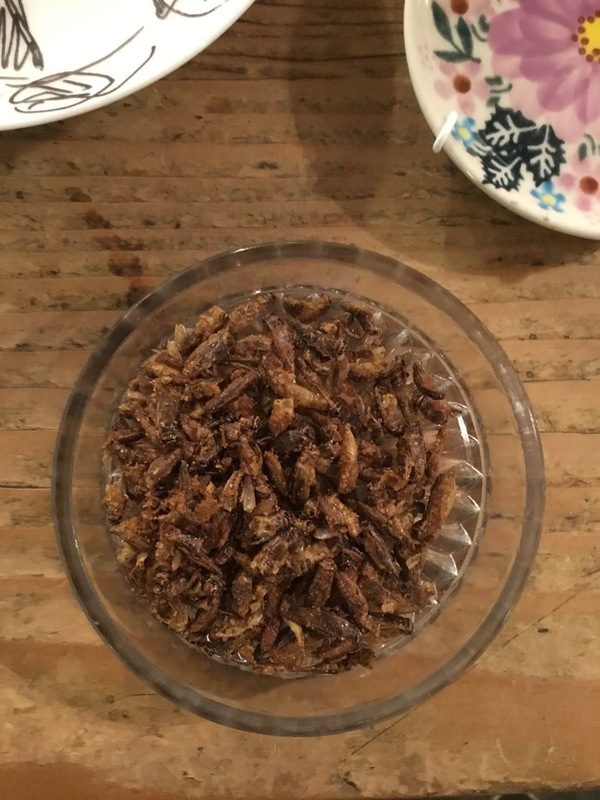 Yes, I know they are packed with protein, and yes, I know that people all around the world eat insects on a regular basis. But I'm not sure I can bring myself to be enthusiastic about eating something that isn't a mammal. I don't restrict myself to farm animals as I have eaten several sorts of deer, but I don't do fish or shellfish (or cephalopods). Ooh dear. I thought this crispy snack smelled of fish food. And worse.. you know if you move something that's been on a shelf for too long, and you see a dead insect? I really couldn't stop myself thinking that's just what this snack looked like. So totally not for me. And I don't think for most of the reluctant taste testers. But apparently the boyfriend of taste tester from the New First (and what a nice boy he is) quite enjoyed this snack. And took the remains of the packet home with him. Still a Student (although not for much longer) taste tester went to Barcelona and brought us this exciting packet of potato crisps. How nice is that? We don’t see her very often, but when we do she comes bearing packets of crisps. 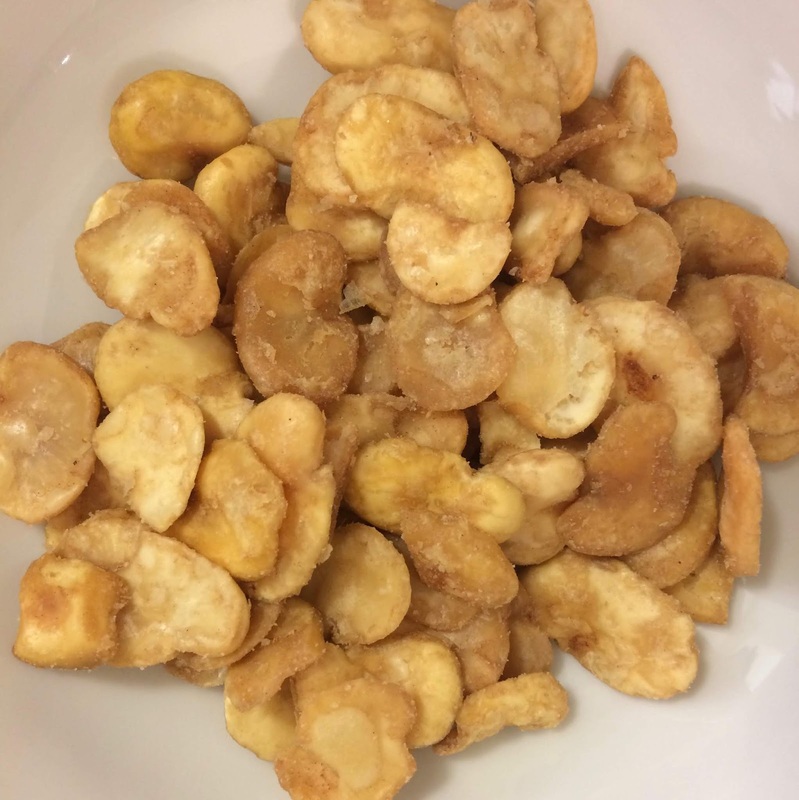 And, knowing that the reluctant taste testers and I have tried all manner of exotic crispy snacks Still a Student went out of her way to purchase something interesting. Something she felt sure we would not have tried already. And she succeeded there. 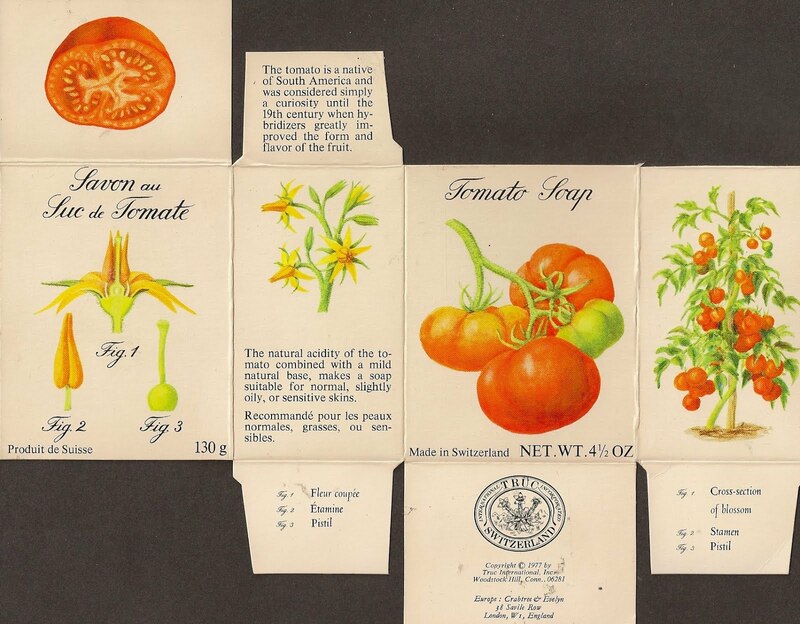 Actually, my favourites are nearly always very simple flavours, but that doesn’t stop me encouraging the taste testers to attempt something fancier. 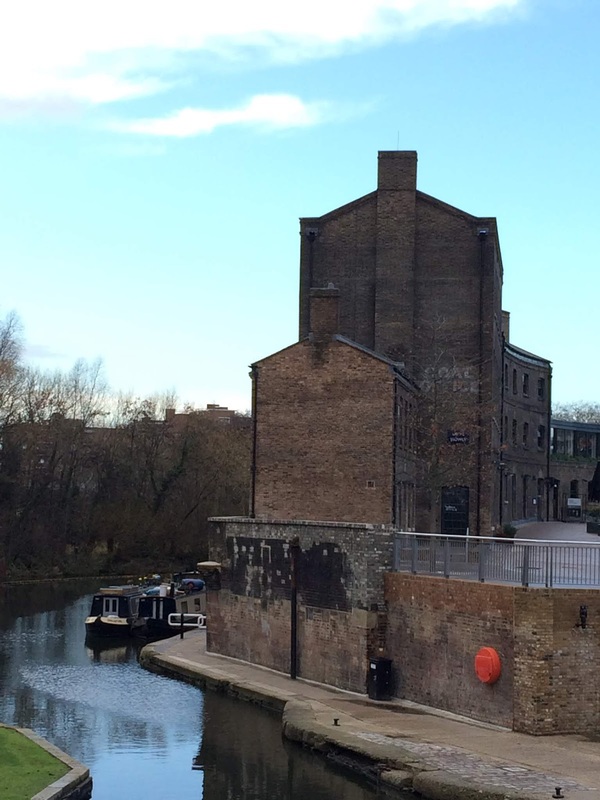 So, what did we think? Well, this is certainly a fabulous crisp. Some of them very large indeed and with a nice crunch. But for me the taste was just plain weird. 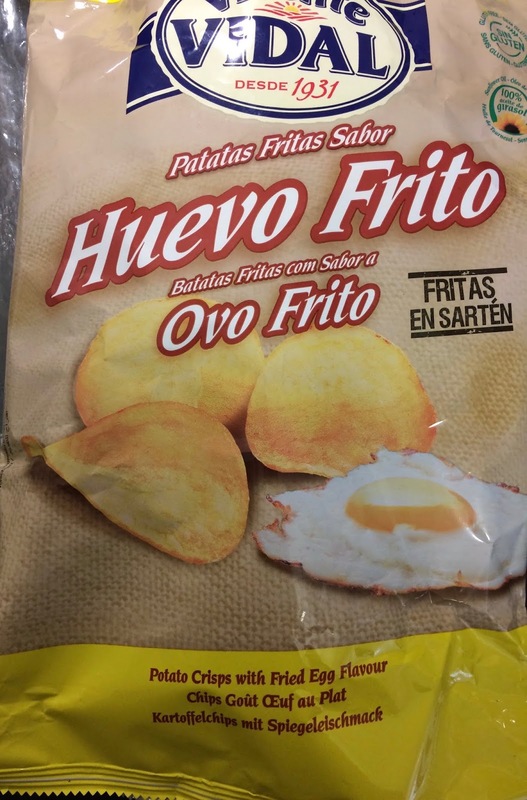 Fried egg flavour! What? The saltiness is nice, but the taste of egg is just wrong. And it is a true eggy taste. It's a bit like the lovely bits of black lace around the edge of a properly fried egg (in my view) but this is not right as a crisp flavour. However, taste tester from the New Forest was very taken. She said she could eat this crisp every day for the rest of her life! It takes all sorts doesn’t it? And it’s not as though no-one else was snacking up these crisps. Because to be honest, most of us felt this flavour was simply too weird. Since these crisps come from Barcelona they are named in Spanish and, I suppose, Catalan. “Batatas Fritas con Sabora Ovo Frito”. I nearly didn’t pick up this packet of crisps in the Co-op in Switzerland because it does look as though it’s aimed at children, and I sometimes find children’s crisps not so nice (maybe a bit lacking in flavour). 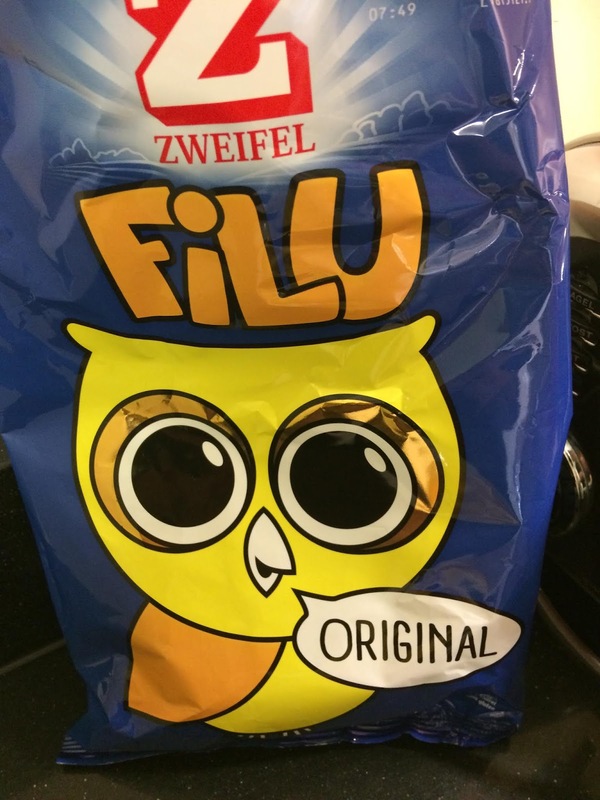 But luckily we did buy the packet (to bring home for the reluctant taste testers to try), took it home to the flat, looked at it.... and then the Chef and I pretty much ate the whole packet all at once. Yum! So we bought another packet which survived the flight home (handy hint: prick a little hole in the packet so it doesn’t burst on the plane and then pack it inside a ziplock bag expelling as much air as possible. I always carry a 3 litre bag in my luggage) and the reluctant taste testers fell upon them enthusiastically. 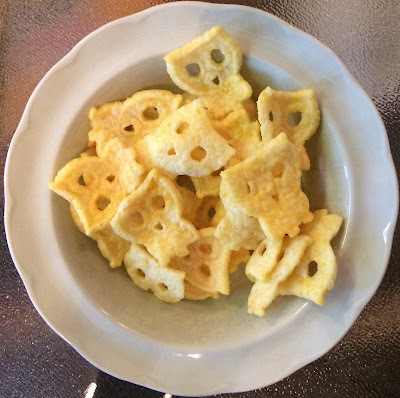 This crispy snack has the same sort of texture and bite as a Pom Bear, and a slightly weird owl shape. I know owls have been super popular on the design front recently. Well I couldn’t avoid noticing all the owl vases and lamps and ornaments and whatnot on sale from every single catalogue and website, many of the owls a similar un-owl-like design as the snack. So perhaps that’s the inspiration behind this. What a great snack though! They don’t taste of very much, although there is a bit of curry in the recipe, but you probably already know the “not very much” is no bad thing. Too much taste can be as bad as a taste you don’t fancy. But not much taste of nothing in particular (it’s hard to describe) can be simply delicious. Oh dear. Senior taste tester was very unimpressed that these French crisps are called "Lady Chips". "Where are the man crisps? ", he asked grumpily. Well, Senior, I'd like to point out that the world is stuffed full of crisps aimed at men. 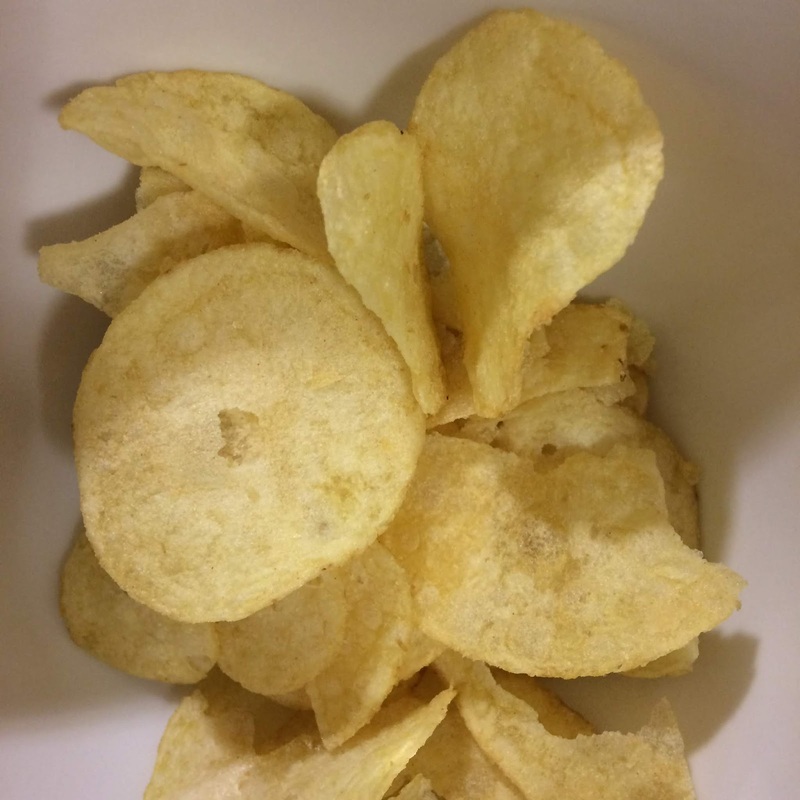 Lots and lots of great big crinkle cut crisps advertised as going well with beer.... you get the picture. Like Walkers Max Strong Jalapeño and Beer perhaps, or the Real McCoy's crisps. But here we have a small crisp with a gentle crunch and a pleasant taste of black pepper. Nothing fancy, nothing super exciting, just a pleasant tasty crisp. Not necessarily just for ladies. Check out this blurb from the back of the packet. Did you learn French at school? I did. 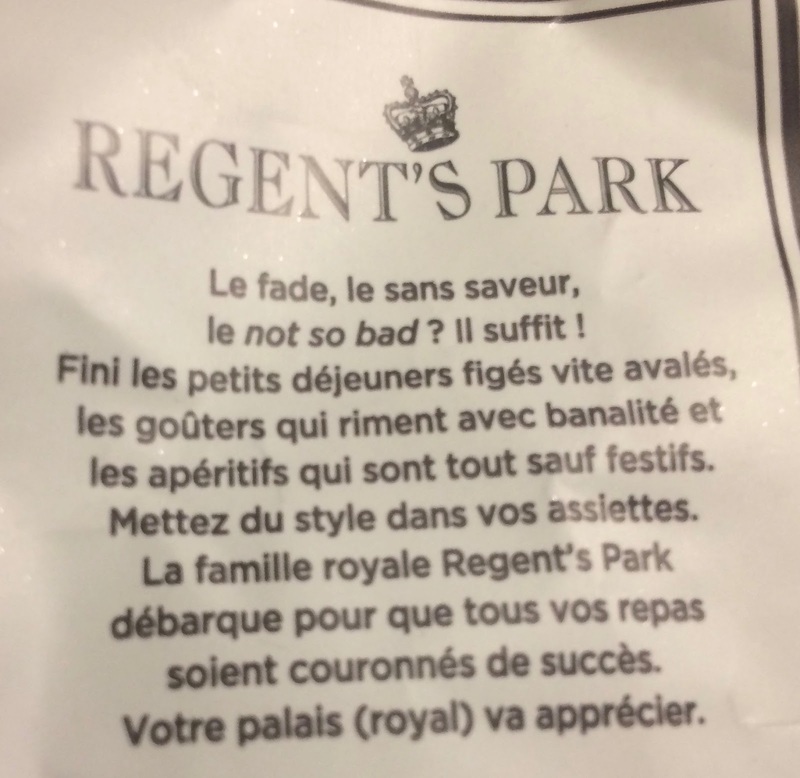 It didn't include the phrase "le not so bad" but that's modern French for you. 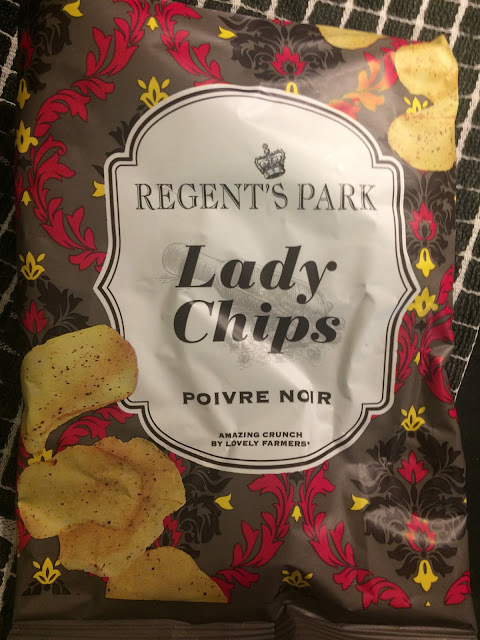 I'm not sure that I'm mad keen on "Lady Chips" as a name for a crisp brand any more than Senior taste tester; it feels a bit patronising doesn't it? The reluctant taste testers and I tried a Lady Chips flavour before: Melange Thai. We weren't that impressed. Not at all sure about the flavour. But this crisp? Pretty good actually. 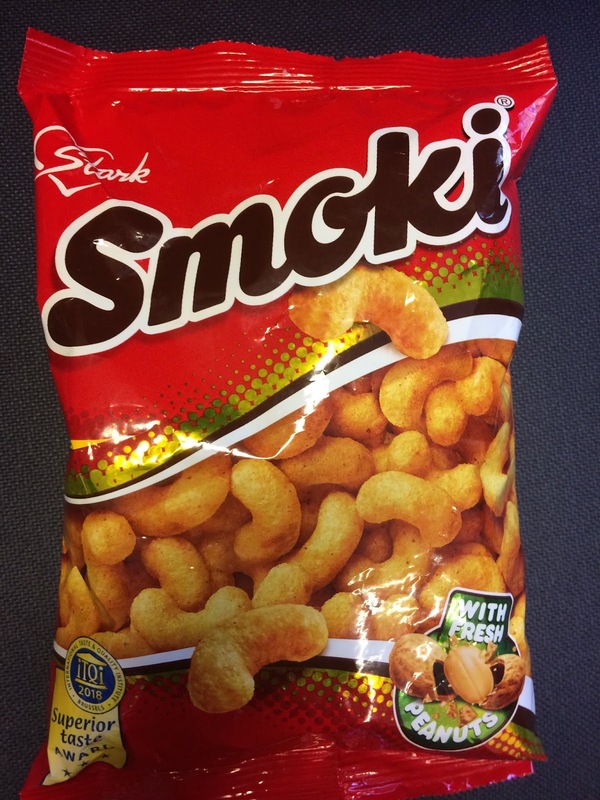 I was a bit surprised to find this peanutty snack from Serbia in our local Turkish deli. Actually I really don’t know why because I’ve discovered all sorts of goodies there in the past. 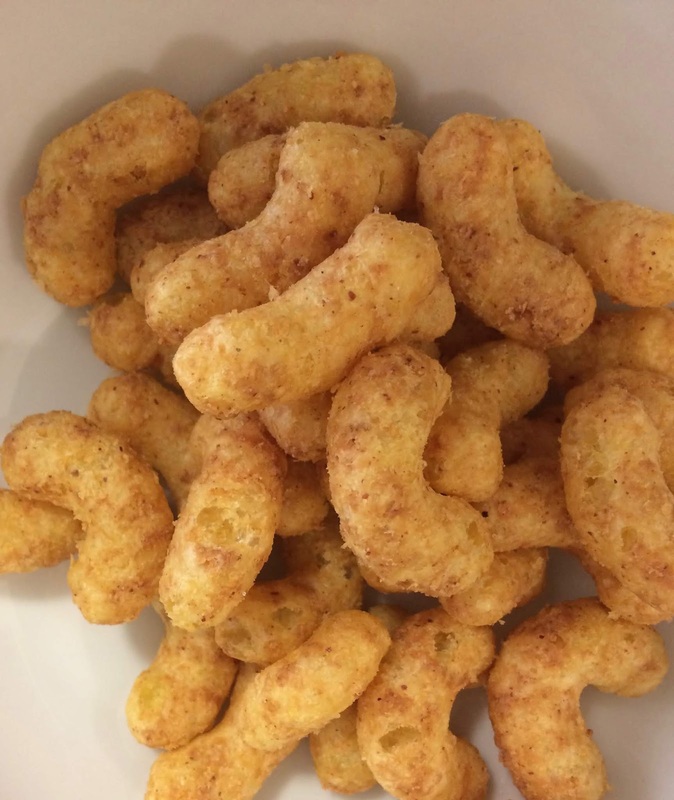 This snack looks exactly as it does on the packet, which is not always the case, and reminded the reluctant taste testers of Bamba, the popular Israeli peanutty snack, beloved by Jewish families everywhere. Or so we were assured by our dear departed (busy being a mother to two very active little boys) Giraffe Fan taste tester who ought to know. Living as we do in North London we can buy Bamba any day at a selection of supermarkets and delis, and we have tried a Macedonian version, so maybe a peanuty snack is always a good bet in the former Yugoslavia? 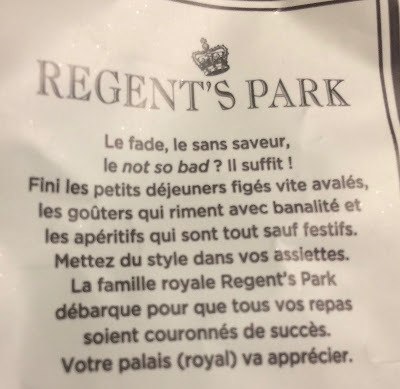 I’m also pretty sure we have tasted and approved a French version, so it’s always a bit of a surprise to the reluctant taste testers that there isn’t a British version of this tasty snack. I really don’t get broad beans. I don't like fresh broad beans (with or without the outer shell), fresh or frozen, and I definitely don't like fried or roasted broad beans. It's a Spanish snack, probably enjoyed by millions of Spaniards and visitors to Spain, but I don't know. For me they're just too tough. Too hard a bite. Too... not made of peanuts. Which is probably extremely picky because, thinking about it, there's not a lot of difference between broad beans and peanuts. That's just me though, and personal preferences are often weird. I know that Noble Friend really likes Habas Fritas, and it seems Tall Elegant taste tester liked them too. Possibly other reluctant taste testers , although I have failed to interrogate them all. 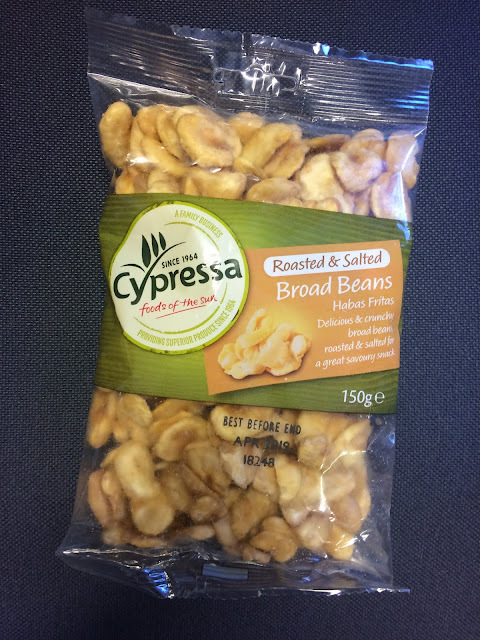 This packet of roasted and salted broad beans seemed to hit the spot for reluctant taste testers who aren't me. So why not try them for yourselves? 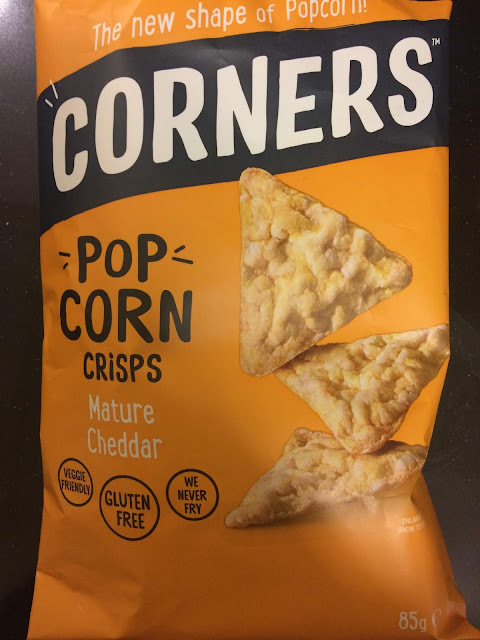 Trust Tall Elegant taste tester to come up with yet another crispy snack you never knew existed. 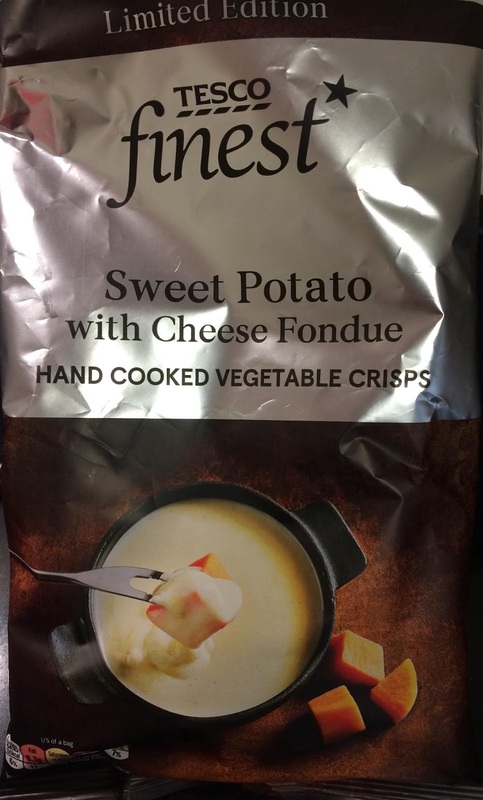 She's always going out shopping at lunchtime for lunch (and food for the rabbit which likes fresh garden peas please), and discovering some fancy new crispy snack I never saw before. Yes, it’s a strangely triangular crispy snack made out of popcorn. Who thought of that? The new shape of popcorn eh? Well, who know? Not us obviously. I didn't try more than one of this crispy snack because I go home at 2 (just after lunchtime), but I did rather wonder why. Why did anyone think to invent this snack? 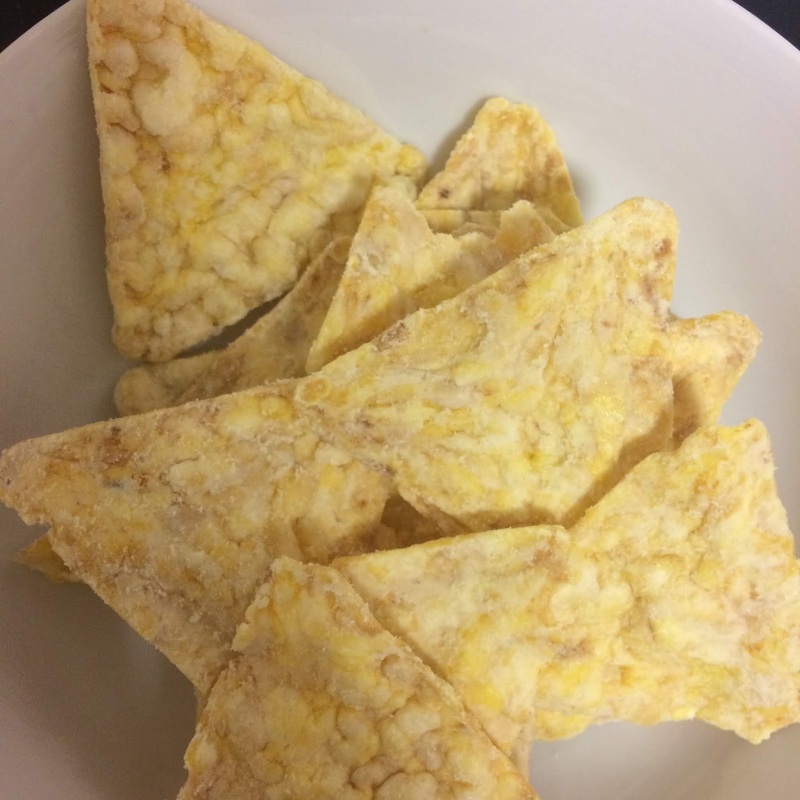 What's wrong with popcorn that it needs to be squashed into a triangular snack? I don't think this crispy snack was nasty or anything. I just couldn't really work out why you'd want it. 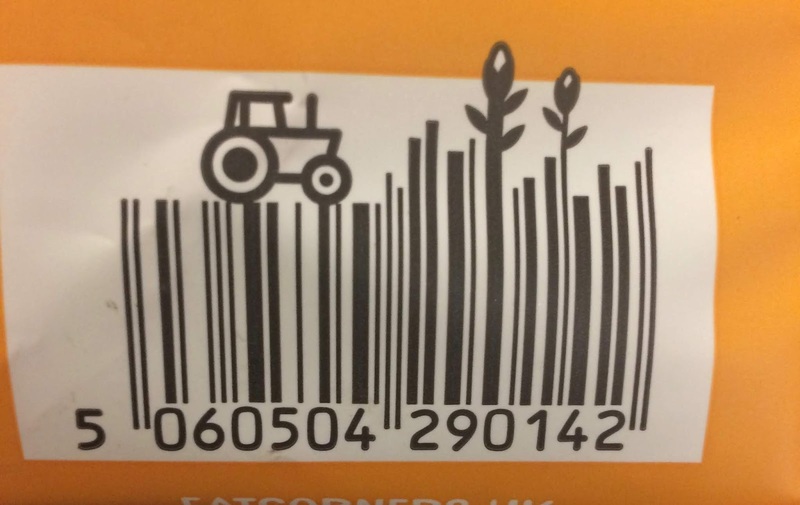 Great design on the bar code though. 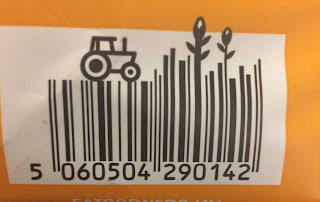 I always appreciate a good bar code design (or little guy throwing his rubbish away responsibly). Oh dear. What was Mr Tesco thinking? Tall Elegant taste tester and I took a snap decision to throw these sweet potato crisps away before the rest of the reluctant taste testers had the chance to try. Noble Friend smelled the overpowering... I really hardly know how to describe it... and didn't try to stop us. 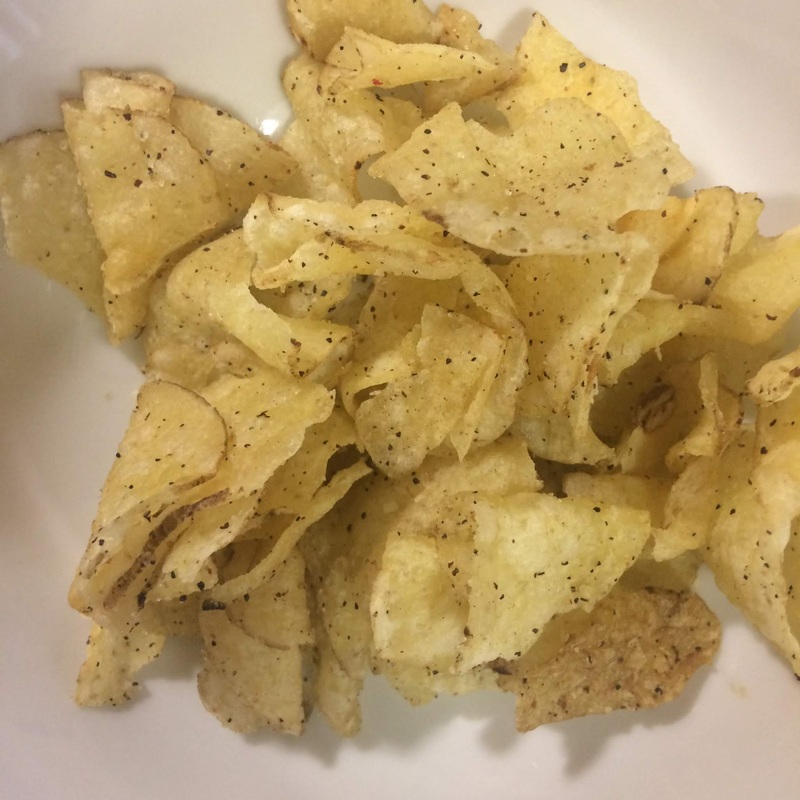 These crisps had a far too strong would-be-cheesy taste, and an aroma that pervaded half the office before we had a chance to stop it. And a frankly horrible taste not far off soap. Let’s just say we were very unimpressed. Oh dear. Tall Elegant taste tester was much more polite than me: she didn't open up the bin and spit hers out. I’ve got to say that I had my doubts about this flavour when I saw the packet but I wasn’t expecting it to be quite so nasty. Perhaps a lucky escape for all of us that this was a limited edition flavour. The Chef's brother (not technically my brother-in-law but you get the picture) gave me this packet of crisps for Christmas. Impressive! One of the very nastiest crisps the reluctant taste testers and I have tried. We spend quite a lot of time in Switzerland (lucky us) and have fondue quite often. It never tastes like this. Please eat crispy snacks responsibly. OK, I know it's difficult but let's attempt to eat a little bit healthily and don't scoff one of those sharing packets all by yourself. And please dispose of your crisp packets carefully. Find a rubbish bin or take them home and use the bin in your kitchen. The taste tasters often tell me they enjoy a crispy snack, but would they buy another packet? Quite often I suspect the answer is probably not. But here are some crisps for which I think the answer is definitely yes. 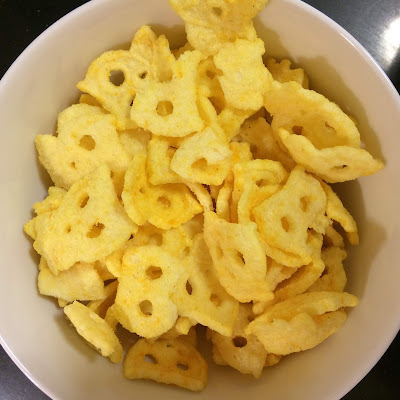 Have you tried one of the crispy snacks that we have reviewed? And why not recommend your favourites so I can share them with the reluctant taste testers and the Chef? 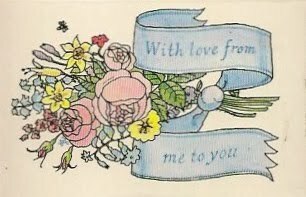 My other blog is My Purple Velvet Box Full of Stuff. Sometimes I get around to posting lots of things. Sometimes I don't. 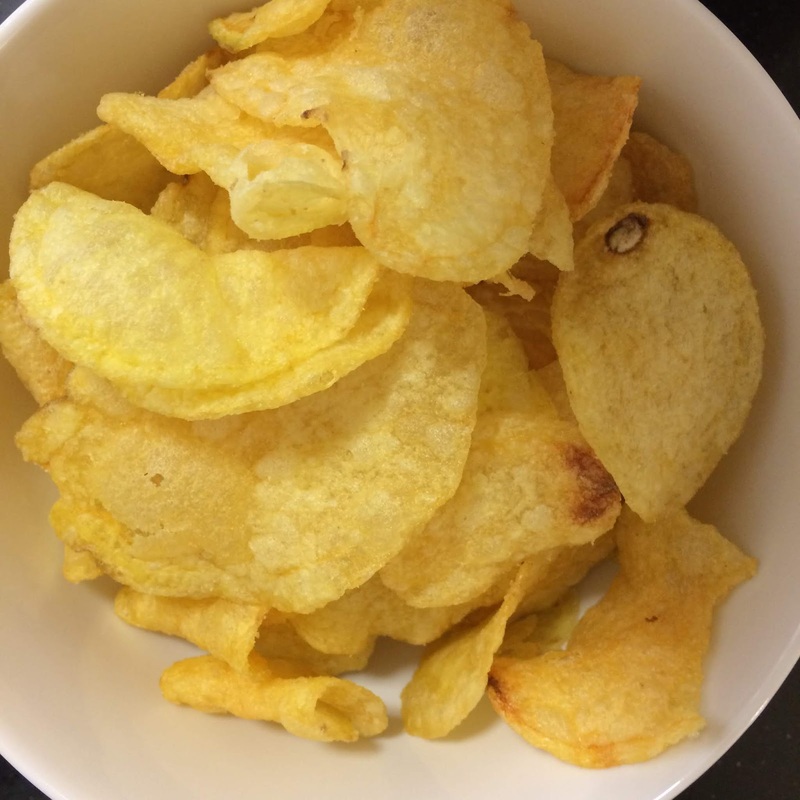 The crisps come first. But here are some tasters. Copyright Badly Made Products. Powered by Blogger.